How Can You Become A Better Influencer? 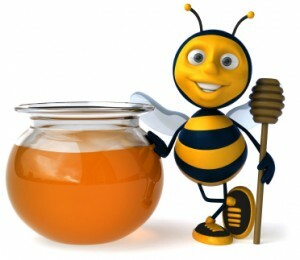 Tip: You’ll attract more bees with honey than you will with vinegar! Last week Lee Odden shared a post on attracting the attention of influencers online. Whether we’re talking about influencers with mass appeal, or those that have a closer and more personal relationship with their followers, each person presents an opportunity to learn and grow. That got me thinking, when it comes to the inner workings of an organization: what makes a good influencer, and would I consider myself an influencer at TopRank Online Marketing? In my opinion, there are some key factors that make a good influencer. Building a strong relationship and trust with your peers is essential in influencing their decisions. Having a team centric attitude towards those that you work with (no man is an island). Presenting an attitude that says “I’m lucky to be here” vs. “the company is lucky to have me”. There is a certain power that comes with having influence over your peers. A power that should not under any circumstances be abused. After all, what is power without trust? The bigger question to ask is: why should you want to be an influencer? There are many benefits to being an influential member of a team including flexibility, trust, decision making power, and proof of ability just to mention a few. I would like to dive into some of the qualities that I think make a better influencer – not just for influencer marketing – but for your company, as well as some signs that you may already be an influencer and didn’t even know it! #1 Listen More Talk Less: Think back to your “Sales 101” training, what is one of the most important rules that salespeople must always remember? Don’t talk yourself out of the sale. By listening to what your customers (or in this case peers) are really saying, you can better formulate recommendations that will have the largest impact on both their perception of you as well as the project, situation, or problem at hand. #2 Give Before You Get: One thing that I have found is that you cannot automatically expect that your peers will want to help you. I enjoy seeing the organization I work for from a variety of perspectives and not just my own. Being aware of when your peers may be struggling or need help is the perfect opportunity to offer your help. Offering assistance on a fairly consistent basis will show that you are invested in making each person on your team successful, and are not simply looking to pull ahead of the pack. This will in turn increase your team’s willingness to help when you’re in a bind. #3 Work Outside Your Comfort Zone: As online marketers our industry is evolving at a rapid pace. What was best practices when you go to sleep, may be vastly different than when you wake up the next morning. There will always be tactics that you don’t know but by charging full ahead and working on projects or platforms that are outside of your standard comfort zone you will increase your adaptability and ability to think on your feet. Adaptability and quick problem solving will increase perception that you are an innovator within the organization. #4 Suggest Collaboration: I’m sure you’ve heard the saying: “two heads or better than one” well imagine what you could do when your whole team puts their brains together. When we come up with ideas on our own without collaborating it’s easy to self validate concepts and consider only one point of view on the subject. By creating an open brainstorming you will give your fellow team members an opportunity to share their opinions and feel that they have an impact on the end product, recommendation, or solution. What you will end up with will most likely be a better version of what team members would have come up with individually. While many of us may be working on becoming a bigger asset or a bigger influencer within our organization there are many people who are influencers, but don’t know it. What are some signs that you may be more influential than you think? When your company is making new hires they ask if there is anyone you know that might be a good fit for the organization. You’re asked to work on projects or tasks that are outside of your job description. Proof that you are adaptable and can work freely. Team members come right out and ask what you think they should do as it relates to one of their clients or customers. You’ve formed a meaningful and unique relationship with each member of your team, which shows that you are interested in them as an individual. Truth Be Told: I shared what being an influencer means to me but I’m curious to know what you think. Do you thinking working towards influencing your team members is a self serving strategy, or will it help the greater good? Is there anyone in your organization that you would like to nominate as an influencer? Why would you nominate them? It’s important to be as diplomatic as possible when trying to be influential within a given project or industry. Strong powers of negotiation can persuade prospective collaborators and consumers. One of the best points in this article is Give Before You Get. Its really important and usually business owners don’t attend it. But this written text that you cannot automatically expect that your peers will want to help you, is really true and attending to it helps to improve business a lot. I think it’s best to have realistic expectations. If your only goal in helping a fellow team member is to get something in return you will likely be disappointed, and it will come off as insincere. Thank you for your comment. Listen More Talk Less, Give Before You Get, Work Outside Your Comfort Zone and Suggest Collaboration are all very helpful. Locked this down in Evernote for further review and implementation. Thanks! Thank you for your feedback. I’m glad that you found it helpful! Collaboration is not so good when trying to close a project deal, since working with too many ‘creative’ people at the same time can lead to chaos in a heartbeat. I recently had a very bad scenario in which we agreed on something for a small project and we said we were open for improvement and for their collaboration of course, trying to over deliver and to satisfy their needs by a 110%. Well, just two days later, we got contacted asking to re-design the whole site we had already worked on and after going back and forth, we still need to do extra work because we gave them that ‘power’ over us. Certainly not a smart move. The tip on “Listen more, talk less…” LOVE IT! Being a good influencer somehow is a self-serving strategy because you feel like you’re rewarding yourself for being a good leader and being effective in handling people. However, in the long run, being a good influencer gives you an opportunity to mold or to help your team members to become influencers in the future. It’s a win-win after all. Hey Thanks for sharing, useful information, and i’m of the same idea of “two heads or better than one” me and me friends thank to this made a huge patrimony at LazyCash44.comCHECK this out.. Exactly. I think it is. Very good stuff, glad I found this. Building that strong relationship is where the problem comes, how do you create that relationship with your current base?